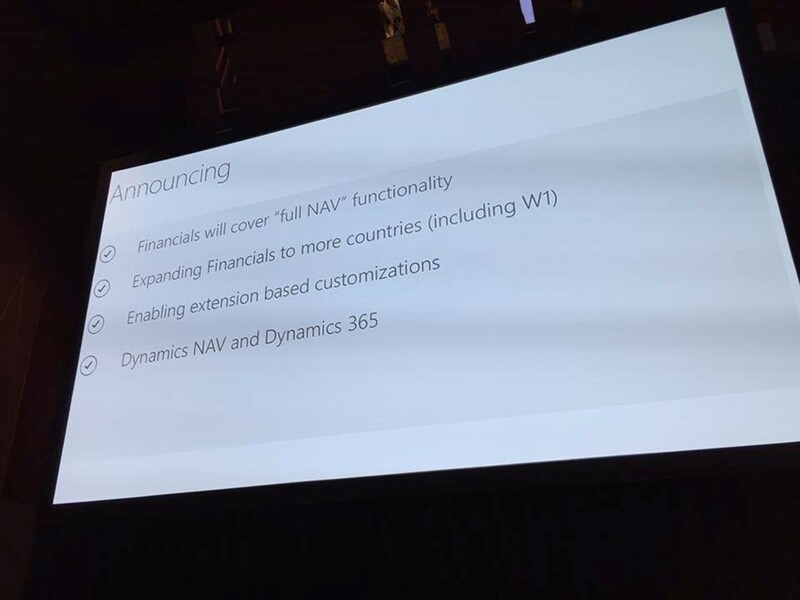 Microsoft Dynamics 365 for Financials will offer the full functionality of the regular Dynamics NAV by the end of the year! Until the functionality update take effect, if you signed up for Dynamics 365 for Financials you will only receive limited functionalities for within the Dynamics NAV product. The area available are mainly in the finance and order fulfillment areas. After the update, which is promised to be by the end of the year, you will receive the full functionality as if you purchased Dynamics NAV. This includes manufacturing and WMS functionalities. This is the first question that everyone will ask. Why does my company want to purchase a full Dynamics NAV license instead of just signing up for Dynamics 365 for Financials? For Dynamics 365, the way to “customize” what’s available out of the box is to implement extensions available from the Microsoft Appsource. This means that if you need a one-off change because you provide a differentiating service than your competitors, you will need a work around. Whereas if you purchased Dynamics NAV product, you will be able to make these types of changes. Extensions for Dynamics NAV (and Dynamics 365 for Financials) is ever changing. With each release, Microsoft introduces new features and expanding on the previous release. So it’s tough to say whether the paths for Dynamics 365 for Financials and Dynamics NAV will truly converge. I’m just glad the customers do not have to sign up for the complex Azure infrastructure if they want their solution to be truly on the cloud. I have been watching this closely on the roadmap. Bill of materials appears to be the next bit that will be implemented on the path towards manufacturing functionality. I am excited about the REST API for web services. I realize web services are old hat as far as NAV goes, but this will be the first time that web services are enabled on an SaaS product with NAV functionality. I would be most interested in publishing a query object as a web service, but I don’t imagine that will be coming very soon. I see now the “Integration API” is what is forthcoming. Web services works fine already in D365F with query objects. Forgive me for my confusion. I think more information about this will come out by the end of the year. It’s definitely a game changer.